1. Designed with product locators. 2. Lightweight and easy to set up for retailers. 4. Customized size, type, graphics. 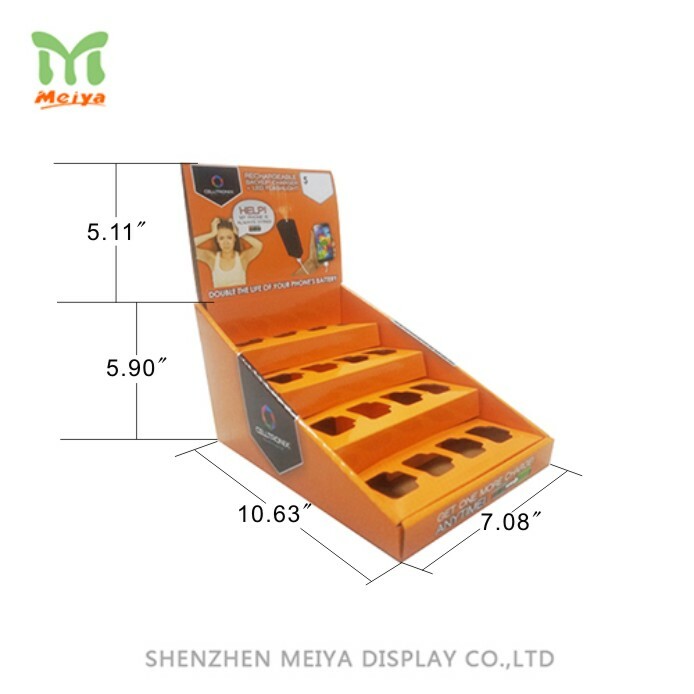 Counter displays are designed with corrugated material, that most of ubiquitous of cardboard display. To place the products with counter displays will enhance the extension values and promotion of brands. An eye-catching design of graphics on the headcard, that also plays a key role to advertise items. All point of promotion (POP)displays can be customized, including the type, configuration, finishing etc.